Utilizing an online marketplace, you know how difficult it can be to capture and keep a customers attention in a competitive environment. Web push notifications can elevate your marketing to effectively target your customer. Instant communication with your customer is invaluable to you business owners. You should start using web push notifications to easily increase customer engagement and profitability. 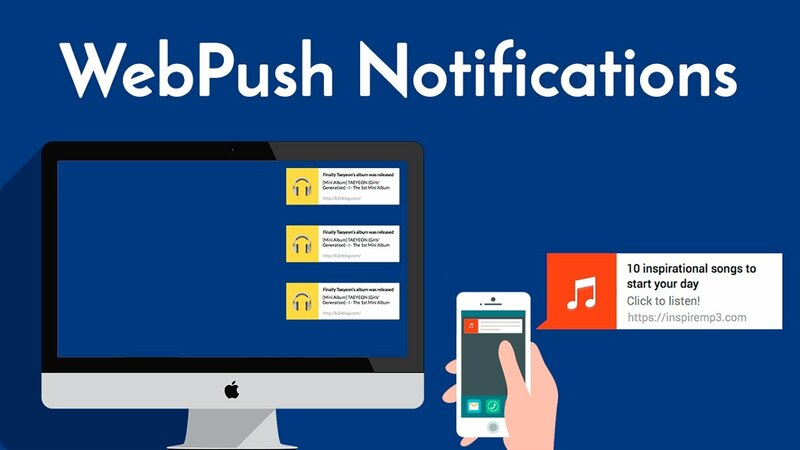 Keep reading below for more advantages of web push notifications. One of the main reasons customers hesitate to sign up for e-mail notifications is because they are required to set up an account, or at the very least disclose their e-mail address. Signing up for push notifications requires nothing other than opting in. This allows you to reach your customer without them feeling as if their privacy is being violated, which is also why Instagram business ads are so effective. Since the setup process is not a hassle, you are likely to see far more people signing up for this method of marketing. Web push notifications will create instant gratification for both you and your customer. When you send out push notifications, you are able to immediately let your customer base know about any promotions that you have ongoing. Push notifications allow you to choose the most relevant points of your marketing and put them directly on your customers screen. You use e-mail and direct mail marketing for your business because you believe that you are directly reaching your customer and convincing them to visit your website. However, web push notifications have much higher click rates than promotional e-mails. Additionally, although push notifications can be turned off, they will not be accidentally sent to spam or trash. Everyone carries around multiple devices. With push notifications, you can be on a customer’s screen if they are on their phone or computer. Mobile usage is becoming more prevalent, and for this reason many business owners are focusing on mobile marketing. However, push notifications allow you to focus on the large percentage of people who still use their desktop for browsing. Marketing techniques are being thrown at the average consumer continuously throughout the day. With so many new advertisements being shown, you want to stay on your customers mind. That is the only way you will be able to use your knowledge on how to generate leads. The best way to do this is with visual reminders. Sending push notifications can remind customers of a sale you’re having or something they’ve left in their shopping cart. By bombarding your customer base with reminders of your business existing, you are likely to see them back on your site. Not using web push notifications as part of your marketing plan is preventing your business from being as strong and prosperous as it can be. Using push notifications in addition to your current advertising is sure to encourage any customer to visit your site again and again. Targeting those who are already interested in your business and have signed up for push notifications is a great way for you to target your marketing on leads that are already interested. Push notifications take the guesswork out of the delivery and effectiveness of your marketing for your business.